September! The end of summer and the start of fall and hopefully cooler weather! After just coming off the August #20x20Challenge and having fun and progress I want to keep up my workouts and try to take the next step. Complete 16 workouts. Its not 20 but 20 really takes a lot more work and we have a few things starting back up and will make it a little more difficult. If things work well and I hit 20 then all the better! Better Nutrition. I want to have better planned meals and less eating out. I also need to focus on better lunches as it is my biggest downfall. I would love to see the scale go down but if that doesn’t happen I do want my clothes to be looser! More walking. Walking is so good and I’ve been enjoying some afternoon walks but my real goal is family walks after dinner! Workouts for you!! My goal is to share some of my at home and even at the gym workouts with you! With all that said I’ll be keeping updates on workouts and nutrition and yummy recipes so stay tuned! I do have today’s workout right here! It was pretty tough and I was sweating! Remember these workouts are Metabolic Effect style. 20 minutes. PUSH don’t pace. Rest when you need to. 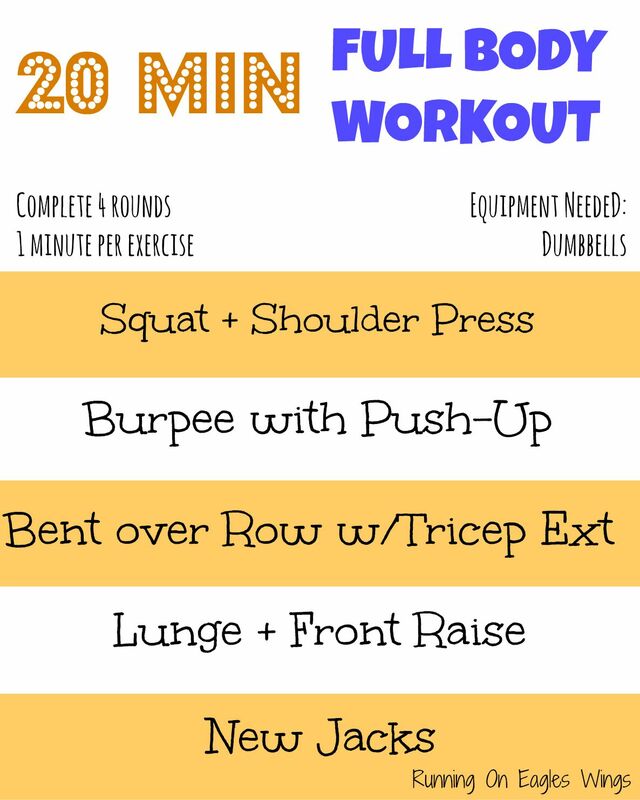 Leave a comment when you complete the workout!